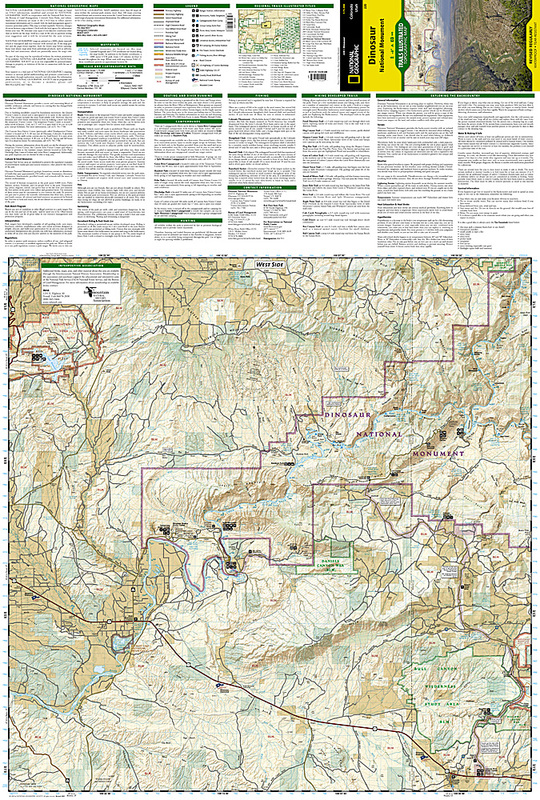 Dinosaur National Monument Map [ti220] - $10.95 : Trail Explorers Outpost, Keeping the Adventure Alive! National Geographic’s Trails Illustrated map of Dinosaur National Monument, which straddles the state lines of northwest Colorado and northeast Utah, is the perfect recreational map for this stunning monument. Within its craggy hills, you can discover pieces of a long ago world where the largest land creatures of all time once roamed and died. 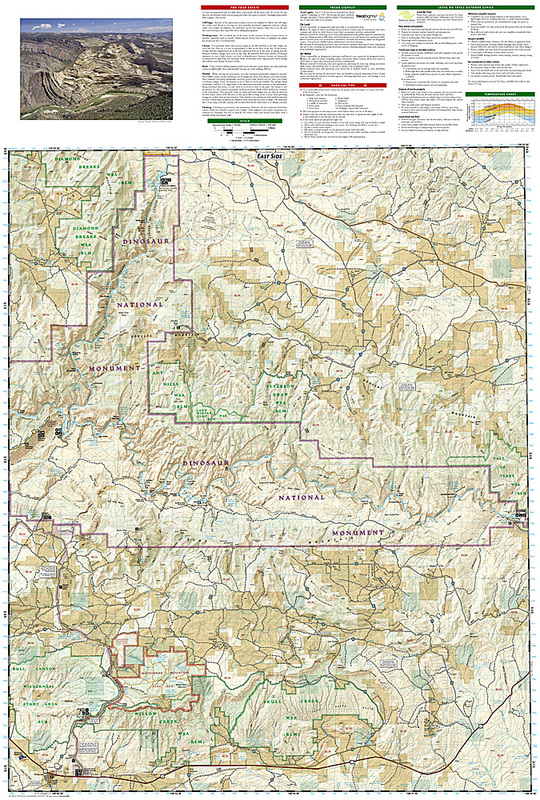 Expertly researched and created in partnership with local land management agencies, this map features key points of interest including Dinosaur Quarry, Red Fleet State Park, Canyon of Lodore, Harpers Corner, and the town of Dinosaur. The map also highlights many popular routes for scenic driving including Dinosaur Diamond, Harpers Corner, Tour of the Tilted Rocks, Browns Park, and Jones Hole.